When you need supplemental supplies to secure your store from theft and counterfeiting, we have everything you need. Our selection of retail security supplies covers a wide scope of security needs at affordable prices to help you find the best solution. 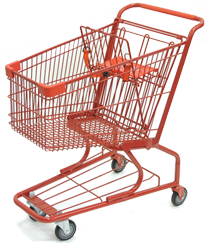 We offer store security supplies that can make running your business more profitable. Combat losses with retail security supplies designed to cut down on shoplifting, theft, and counterfeit money. Entrance Alerts – Door chimes or alerts will notify you when a specific door, such as the entrance, has been opened. With multiple sounds to choose from and an impressive range of up to 150 feet in most models, these alerts can also detect movement and are easy to mount. Ratchet Bar Locks – Perfect for locking a showcase, these bars are available in chrome, gold, and more. They are adjustable, come with two keys, and are easy to install. Shoplifter Alerts – With the Vector shoplifting prevention system, get a system that can pick up merchandise tags in multiple directions at once. It is a high-powered solution to notify owners of thieves. We also offer the necessary tags, labels, and deactivators needed for the system. Counterfeit Products – Aside from shoplifting, another area of concern for any business owner is counterfeit money. We offer easy and affordable solutions to combat this concern with items like counterfeit pens that will change colors when a fake bill is detected. Cameras – One of the most essential parts of a solid security plan is the security camera. Our selection of store security supplies features several options for adding a reliable and affordable recording device to your business. Even if you are looking for a budget-friendly “dummy” camera to act as a deterrent to thieves, we have those, as well as working options. Mirrors – We also offer security mirrors which can be placed on the wall to give you a better view of the location, as well as help with seeing around corners more easily. Safes – Another important aspect of running a safe and secure business is the safe. 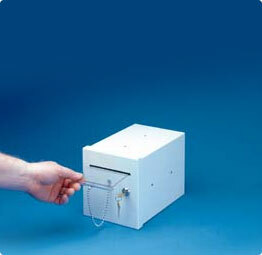 Choose from a variety of sizes and types for this essential item from mounted options to drop safes. Every option we offer is made from high-quality materials and durable construction for a long-lasting solution perfect for your business. At Gershel Brothers, we are your source for a wide range of solutions. If you have any questions, please feel free to contact us.